Just because you buy a smaller SUV doesn't mean you have to give up on the oomph. That's right, given the right model, you could find yourself sitting behind the wheel of a powerful sport utility vehicle. In this comparison guide, we take a look at two contenders: the 2018 Ford Escape and the Toyota RAV4. Which one gives you the most power in a small package? That's what we're here to find out. One good indicator that we're dealing with a heavy lifter of a vehicle is towing capacity. While these smaller SUVs aren't built for big jobs, you should be able to do some moderate towing of, perhaps, a small trailer. The 2018 Ford Escape has outstanding towing capacity for its class, to the tune of 3,500 pounds. Only the Jeep Grand Cherokee pulls more in this class, but for a much larger price tag. If you're interested in making the most of your towing, be sure to 2.0L EcoBoost Class II Trailer Tow Package for proper configuration for a maximum load. The Toyota RAV4 has upped their game this year. In 2017, the most the RAV4 could muster was pulling 1,500 pounds. One year later, and we find ourselves looking at a towing capacity of 3,500 pounds, equal to the 2018 Ford Escape. That's a huge leap and Toyota deserves the credit for improvement. Still, that's only a tie and there are plenty of other categories to consider. Who here likes options? We can only assume you raised your hand. The 2018 Ford Escape offers your choice of three different 4-cylinder engines. The base engine is a 2.5-liter inline-4 producing 168 horsepower and 170 pounds per foot of torque. Stepping up, we find a 1.5-liter turbocharged inline-4 generating 179 horsepower and 177 pounds per foot of torque. Finally, there's the cream of the crop: a 2.0-liter turbocharged inline-4 mustering 245 horsepower and 275 pounds for foot of torque. That's quite an assortment! Each one is mated to a six-speed automatic transmission. Besides raw power, this compact SUV is also nimble, able to lean into corners and overall nicely balanced. In other words, this one is super fun to drive. With the Toyota RAV4, you have one option, and one option only. The Toyota RAV4 only offers a 176-horsepower 2.5-liter four-cylinder engine. That'll cut it, but this engine doesn't wow us. You'll find hills burdensome and won't have the ability to merge easily on highways. On the plus side, the Toyota RAV4 is a smooth ride and capable handler. But it's not going to win any trophies. You might wonder if with all that promised power how the 2018 Ford Escape fares at the pump. Are you going to spend an arm and a leg for fuel or not? Not, it turns out. It may seem miraculous, but the Ford Escape and Toyota RAV4 both return 23 city and 29 highway miles per gallon. Even with the best engines the Escape has to offer, there's no deviation greater than 1 or 2 city mpg difference. 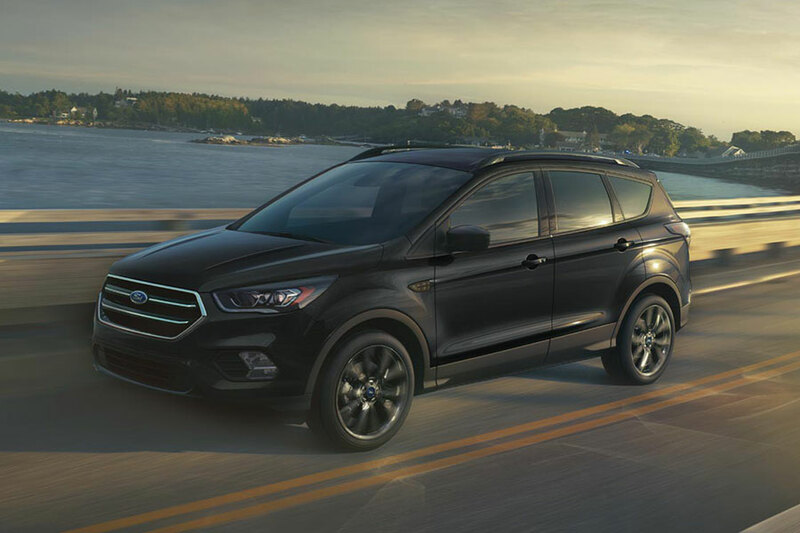 We might call that a win for both cars, but it's more impressive in the Ford Escape with its superior engines. In this contest of muscle, we come down on the side of the 2018 Ford Escape. The Escape tows just as much as the RAV4, gets the same gas mileage as the RAV4, and does all that while providing more and better engine options.